You are here: Home / Food / Can Cats Eat Ham As Snacks, Or Have Ham As Part Of Their Diet? Can cats eat ham? If you have a cat who likes to eat whatever you’re eating, you’re probably curious about whether a piece of ham is good or bad for your cat. You may even just have a ham cat, who seems to like that treat above all others. 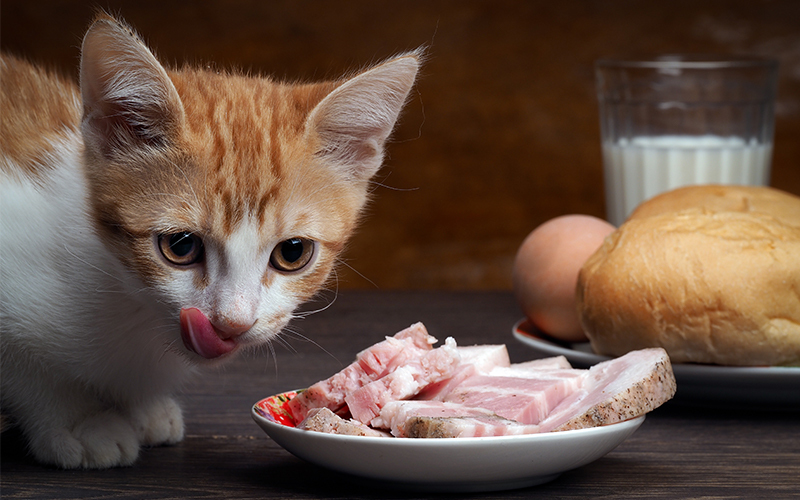 The quick answer to “Can cats have ham?” is yes — but there’s more to it than that. A cat’s diet should mimic how they would eat out in the wild as closely as possible. Which is what makes cats crazy for those cans of meat. Cats naturally eat a moisture-rich, meat-filled diet. Cats are obligate carnivores, or true carnivores. They only need meat in their diet. Even when we feed cats dry food, it’s still engineered to provide the protein cats would be consuming out in the wild. It’s important to aim for mostly high-quality canned foods. 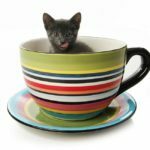 These moisture-rich foods can help offset that fact that cats tend to drink less, since they are used to getting moisture in their diet from food. So since cats need meat anyway, it seems like common sense that you could easily feed your cat ham. What makes ham for cats a gray area is that it is very high in sodium. Remember, cats are already prone to not drinking as much as other animals due to relying on moisture from their diets. Cold cuts of ham are especially high in sodium. According to the CDC, over 40 percent of human sodium intake comes from foods like packaged ham. And according to the USDA, one serving of frozen ham that comes fully cooked and cured with water and salt added can account for 40 percent of a human’s daily recommended dose of sodium. Now, sodium isn’t detrimental to animals, within reason. But too much of anything can be harmful to health in the long run. That being said, the clinic Veterinary Specialty and Emergency Care South recommend giving your cat ham as a snack. It specifically recommends a slice of cooked ham only as a treat. Why do Cats Like Ham? If you’ve ever been around an outdoor cat, you may have seen just how skilled and graceful they are at catching prey. One of the defining traits about cats is just how much they love meat. And your cat’s powerful predatory instincts are aimed at ensuring that he gets a good supply. Some meats are even more flavorsome and tantalizing than others. The distinctive taste of ham is a great favorite for many people, so it’s only natural that we might be tempted to share some with our furry friends. So, do cats eat ham, and is it safe to share? Our culture is saturated with images of pampered felines enjoying the finest canned meats from crystal dishes. 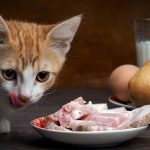 Though you may notice that while canned wet food runs a pretty wide variety of meat, from chicken to liver to turkey, you won’t usually see canned ham for cats. Or find ham as an ingredient on a tin of his favorite cat food. Is Ham Safe For Cats? It isn’t because ham is outright unsafe for cats. As mentioned before, cats need to eat meat. Therefore, their diet should definitely include different meat-based sources of protein. Which ham can definitely provide. No, the caution when discussing, “Can cats have ham?” isn’t just because of the ham itself. Is Ham Bad For Cats? As mentioned before, the main concern with the question, “Can cats have ham?” is the sodium levels in the meat. Is Ham Good For Cats? Taken completely apart from the sodium question, ham is a meat protein. And meat proteins are exactly what cats need to thrive. However, how the ham is cooked plays into the wisdom of feeding it to your cat. And remember, it is always possible to feed your cat too much of anything. A balanced and nutritious diet is necessary for their health and happiness. Can Cats Eat Raw Ham? Feeding your cat only raw meat has become a fad among pet owners. So can cats have ham raw? The idea is that you are giving your cat what they ate in the wild, which would be nothing but raw meat. 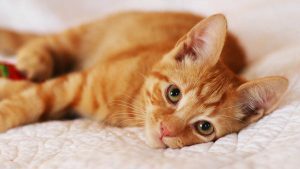 The reasoning goes that since you are feeding your cat what they ate naturally, that will make them healthy and happier. 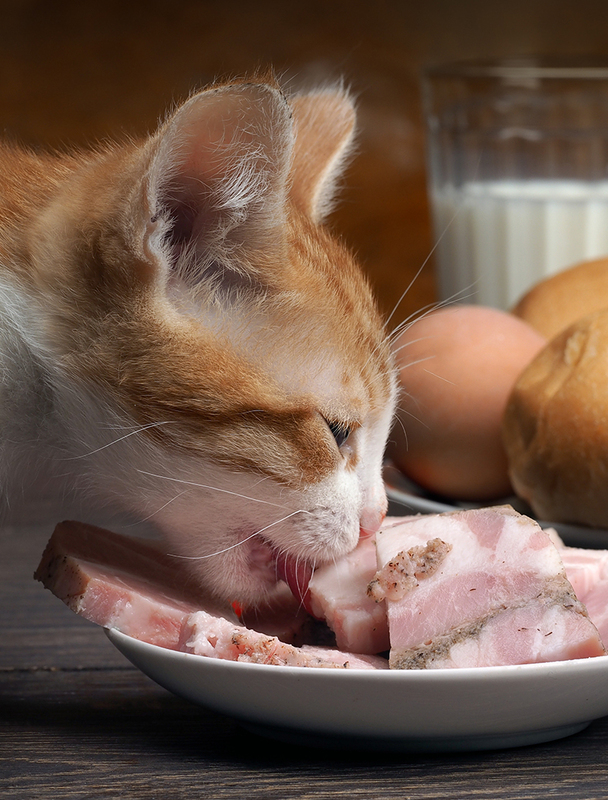 You may even be wondering about feeding your cat raw ham as part of the raw meat trend. A 2005 study shows that a primary concern with feeding an animal raw meat is that the animal is susceptible to “enteropathogens,” which could end up causing diseases like salmonellosis and clostridial diarrhea. As part of the study, 25 commercial raw diets for dogs and cats were examined bacteriologically, which found a number of bacteria. For instance, salmonella spp. were found in 20 percent of the diets. The current large governing bodies dissuade giving your cat raw meat. According to a 2013 article, the American Animal Hospital Association, AVMA, and Canadian Veterinary Medical Association discourage using raw or undercooked meat as part of a dog’s or cat’s diet. This doesn’t mean that some cats don’t thrive on a raw diet, but you will need to do your research very carefully before you begin. Cats are individuals. This means that specific foods will impact some of them more than others, or in different ways. So it is certainly possible that ham could give your cat an upset tummy, if your cat has a stomach sensitive to sodium or other factors. Or it could be that how the ham is cooked — or whether it is cooked at all — could make a difference. But by and large, ham should not upset your cat’s stomach. 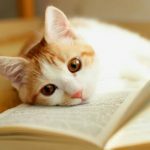 Can Ham Treat Hypertension In Cats? Since studies suggest that sodium doesn’t actually increase the risk of hypertension in cats, some may believe that it lowers it. But this isn’t proven by the evidence available. So the answer to the question posed is no, ham and other sodium-rich foods will not treat hypertension. But can cats eat ham? The answer is still yes. Can cats eat ham when they are still classed as kittens? Kittens are young and as such they have more delicate digestive systems. We recommend sticking to your kitten’s complete kitten food when they join your home. This will make sure that they get everything they need to stay fit and healthy, and minimize the risk of tummy troubles. Ham itself is fairly straightforward. But that doesn’t mean that there aren’t different ways and times that it can be served to your cat! 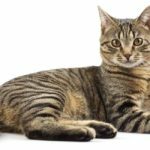 If you’re not big on the idea of feeding your cat ham, or if your cat is a picky eater and doesn’t like ham, consider these options. So, can cats eat ham safely? The sodium levels in ham pose little threat to healthy cats. But make sure to check with your vet if your cat has health issues. 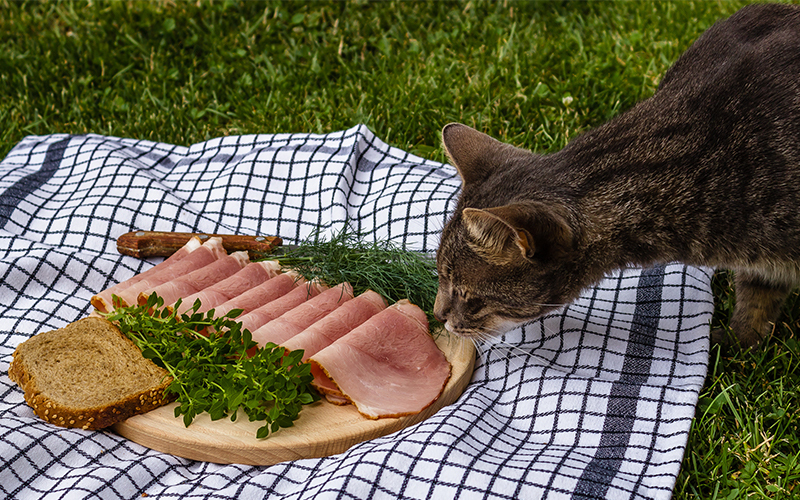 Cats and ham go together as long as you give your cat ham that has been cooked as a treat. Your furry little friend will appreciate it if you believe in feeding cats ham as a snack. We recommend no more than half a slice, every two or three days. Ham and cats might seem a funny combination to you, or feeding ham to cats could be a normal part of your week! Have you given ham to your cat? You can let us know about your experiences with cats and ham in the comments below. Our 8 month old SHD LOVES ham. We got her right around Christmas time so we had a ton of leftover ham. We let her try it once, and it has been her favorite treat ever since. Our 8 month old rescue kitten was our Xmas gift. She absolutely loves cooked ham and we also had the good ham leftovers over Christmas. She absolutely starts meowing and going in circles when she smells ham. I give her a little every morning besides her regular dry food. My Oscar loves ham! You only have to remove it from the fridge and he’s there. Think it’s because it’s so tasty with the sodium it contains, standard catfood can be bland. My one year old kitty Bubba is absolutely obsessed with ham! It’s got to the point we can’t even open the fridge without him begging for a morsel (obviously, we can’t oblige him each and every time!) I keep a package of uncured ham deli slices on hand to treat him to a morsel every evening, though. His brother Tickles loves ham too, but he’s not quite as crazy about it as Bubba is! I wish there were more ham or bacon flavored cat foods and treats so my hamcats could get their fix more often – and more heathily! Just got a 8 week old kitten this week but he will only eat ham as that’s what the. People we got her from gave her , ive tried leaving her thinking she get hungry enough will eat the food but she not so worry that nose be hungry An not good for her am now trying to mix little cat food with little ham to see if she will fall for that an get less an less ham only occasionally for a treat what can I do ?